CGWB Staff Car Driver Question Papers and Syllabus - Ministry of Water Resources, River Development & Ganga Rejuvenation, Central Ground Water Board, West Central Region has issued a latest recruitment notification to recruit Staff Card Driver posts. Candidates who are eligible and interested they can apply by downloading application form before the last date. 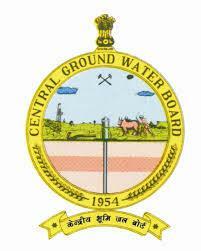 Aspirants also check other details related to Central Ground Water Board (CGWB) Staff Car Drivers Previous Question Papers, Syllabus, exam date, application form download, selection process, how to apply, age limit and more details are given below. (i) Matriculation from a recognized Board or equivalent. (ii) Possess driving license for Heavy Vehicles. (iii) Three years experience of driving a heavy vehicle. (v) Ability to read and write Hindi or English language and numbers.